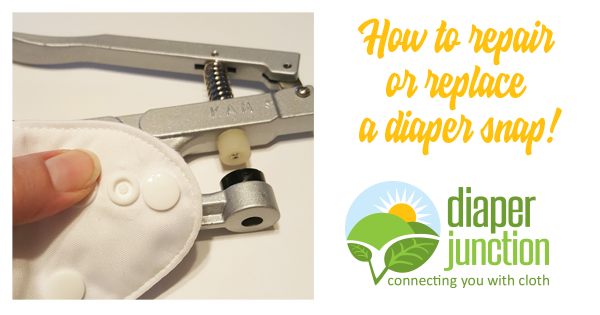 Learn how to repair or replace a cloth diaper snap in under 2 minutes! What do I do if a snap breaks? It's worth mentioning that most cloth diapers carry some kind of warranty on their enclosures. 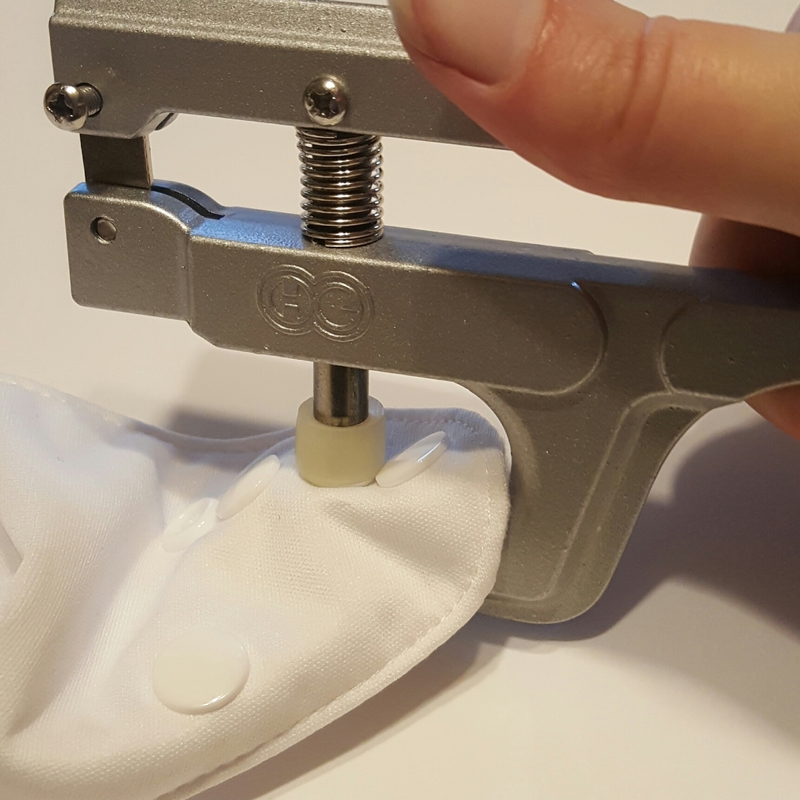 So, if you recently purchased a cloth diaper and the snap is broken, loose, faulty, or breaks prematurely, you may want to check out our Defects & Warranty Information page or contact us for assistance. Considering how quick and easy it is to fix snaps, though, many just opt to do it themselves! A handy set of Kam Snap Pliers along with some Kam Snaps in the correct color is all it takes to fix any troublesome snaps in just minutes! Worried about the investment in a set of pliers? 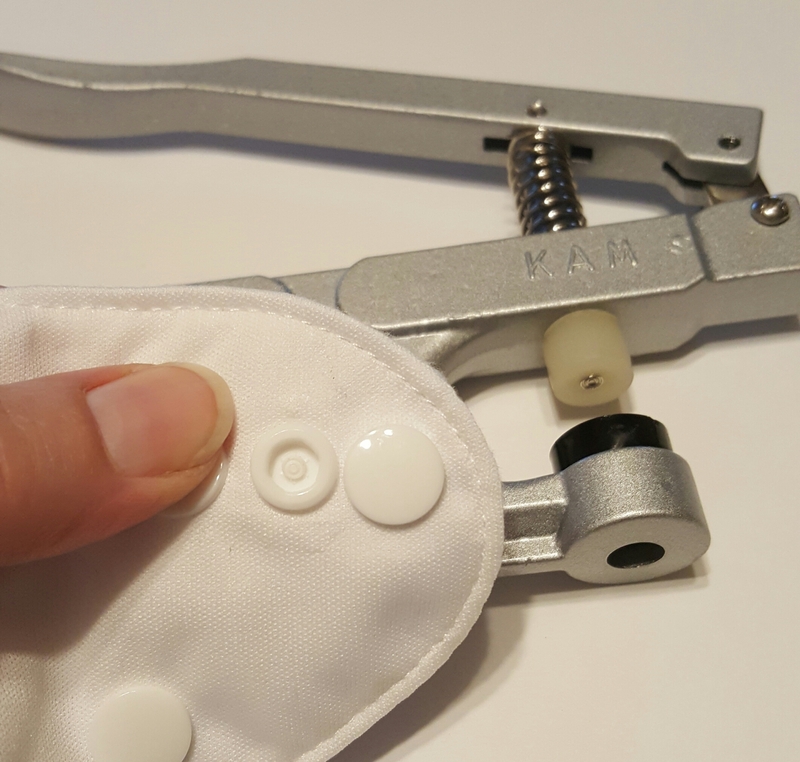 Consider all the innumerable ways you can incorporate snaps around the house beyond cloth diaper repair, and you'll quickly discover that Kam Snap Pliers are worth their weight in gold! How do I remove the damaged snap? Frankly, there are numerous ways to do it, although strangely I found smashing with a hammer to be surprisingly inefficient, for those of you wondering. 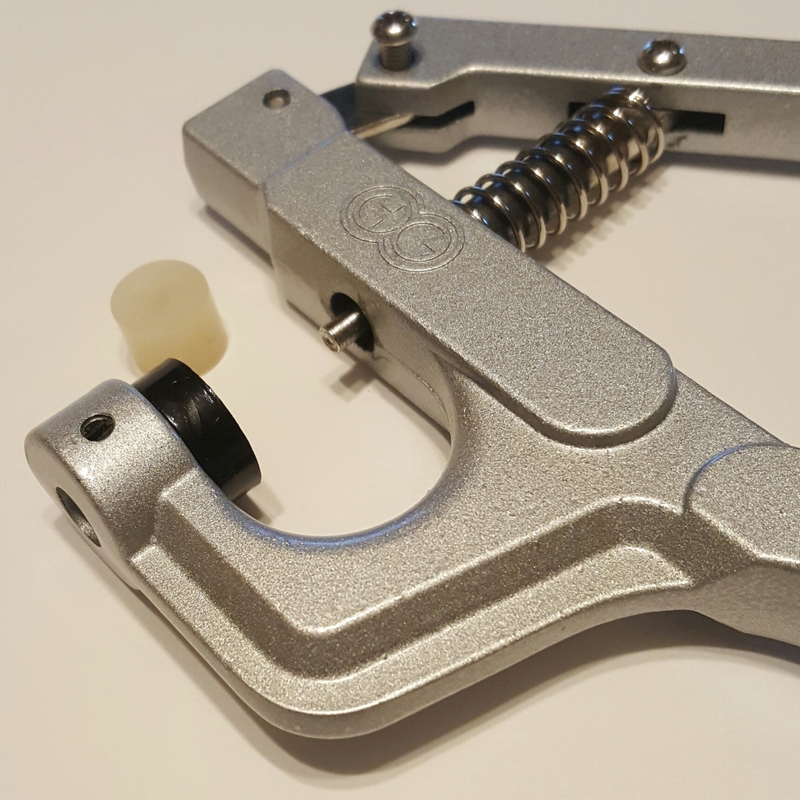 However, by removing the rubber portion of your Kam Snap pliers, you can transform your snap-adding device into a very efficient snap-removing tool. 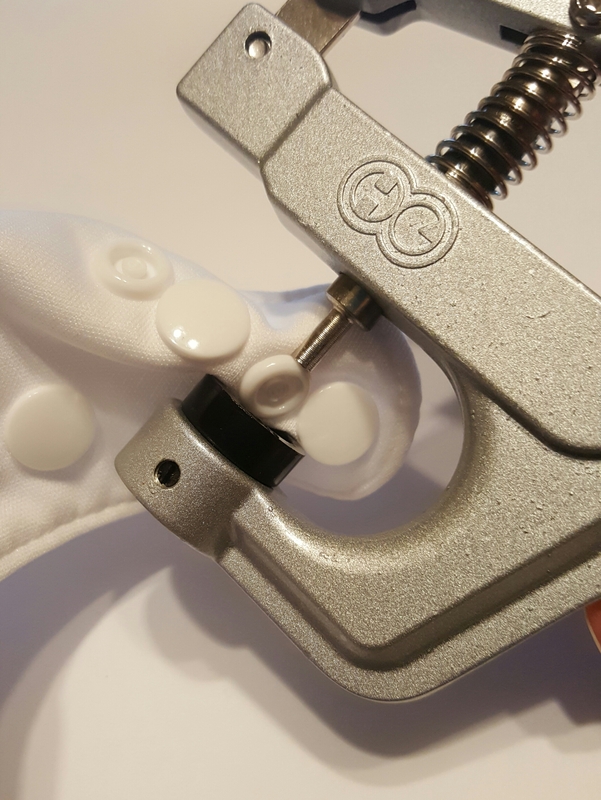 Simply remove the rubber portion from the shank, rest the offending snap in the black well on it's side, and apply pressure, making sure to bring the metal shank down between the cap and the socket/stud of the snap. How do I install a new snap? Begin by making sure you have the correct snap parts. You need one cap and either one socket (female) piece or stud (male) piece. 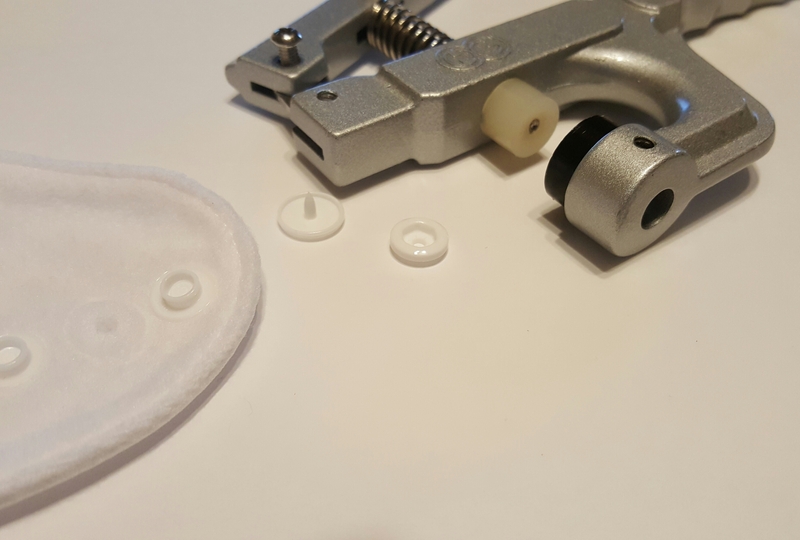 After you make sure you have the correct pieces, push the point of the cap through the hole where the previous snap once was, making sure your cap is on the correct side of the material. Place the socket or stud piece on the point on the other side of the material. Rest the cap side of the snap into the black well of your snap pliers, bring the shank down slowly (don't forget to replace the rubber portion first! ), making sure it comes down aligned to the point, then apply firm pressure. That's all there is to it, your new snap is installed! Using incorrect pieces or putting a snap on backwards are the simplest mistakes to make, but equally as easy to avoid by simply taking your time and paying attention to detail. 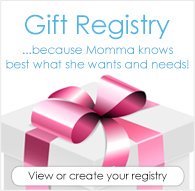 It's really that simple and can be done in less than two minutes! It's easy but I don't reccomend removing the snaps this way. You can easily damage the pul this way.